Alona Beach, Panglao Island, Bohol, Philippines? Do you want to experience Scuba Diving for the first time? Or do you want to get PADI certified or move on with PADI continuing education and PADI Specialty Courses? 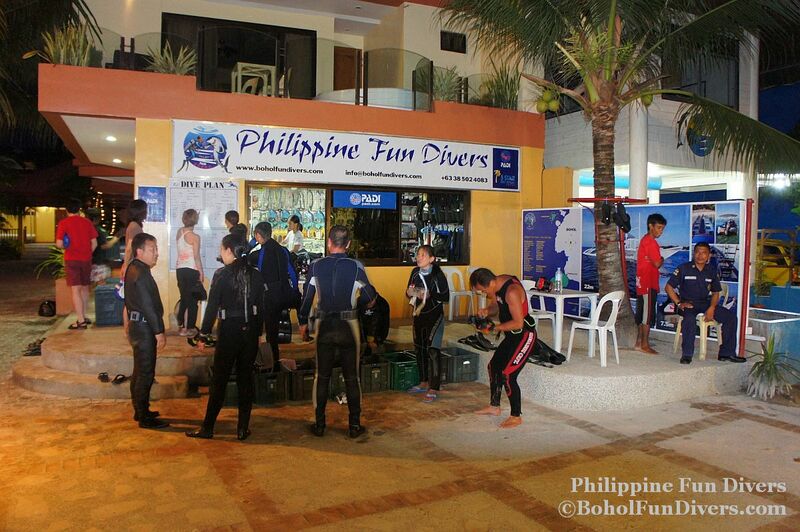 Or do you want to enjoy Fun Diving at world class dive sites such as i.e. Balicasag Island? On this page you can choose the resort and the type of room(s) that best fits your needs and let us know about your preferred Scuba Diving activities. You can also write notes with special requests or information. Please read our reviews within this website or directly in Tripadvisor (the link is on the left side of this website) and watch our dive videos and photos. If you like what you are reading and seeing, please fill out the form and give us your first ideas about your vacation plans. Once we receive this ‘Plan your Vacation’ form, we will treat it as an inquiry first. We tentatively reserve a room for you within the requested arrival and departure dates, tentatively plan for your scuba diving activities, etc. This tentative reservation is good for 3 to 7 days, depending on your inquiry date. Parallel to this, we will send you an email with price lists, other information and a quotation. If this quotation is to your liking, you need to confirm the reservation/quotation to us. If you suggest changes, you need to send us an email with your suggestions. We will take care of your changes, adjust the quotation and send it back to you. Once everything is clear, you need to send us an email with a confirmation in order to keep your tentative reservation. After this we are sending you an invoice with the modes of payment and the cancellation policies. To make your Vacation Plan a Booking please refer to our payment and cancellation policies, which for now will be send to you together with the invoice.